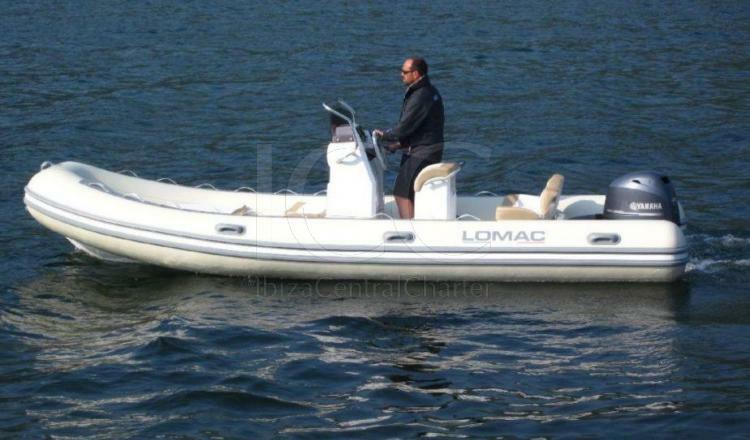 Lomac 580 perfect for enjoying family outings in the turquoise waters of the islands of Ibiza and Formentera as for fishing trips or diving. 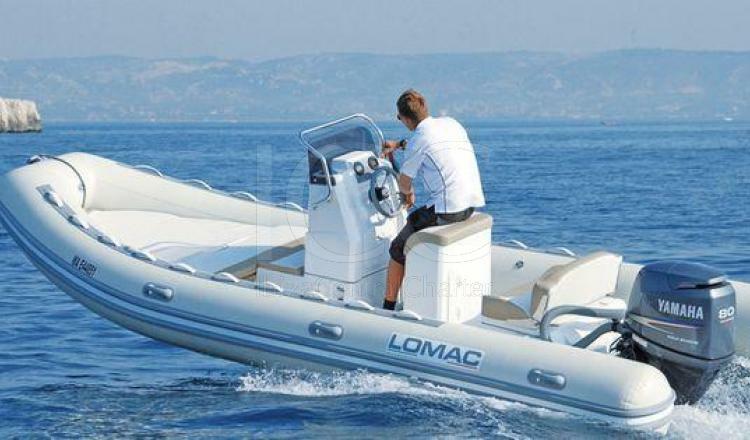 The Lomac 580 rib discarded by its pleasant and youthful appearance. 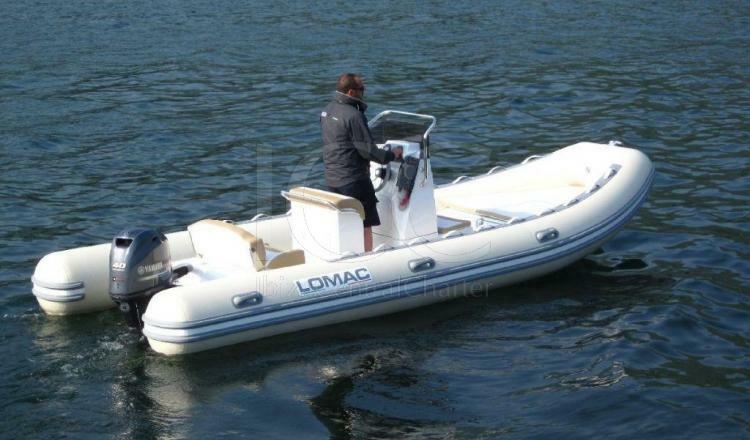 With a length of almost 6 meters that gives capacity for up to 8 people comfortably. In the bow area there is a simple solarium in which to lie down to sunbathe or simply admire the beautiful views towards the coves of Ibiza and Formentera. On the other hand, aft, has an outdoor table with comfortable seats to relax while we listen to the music that we like the most thanks to its sound equipment with Bluettoth connectivity and we make a break to eat. 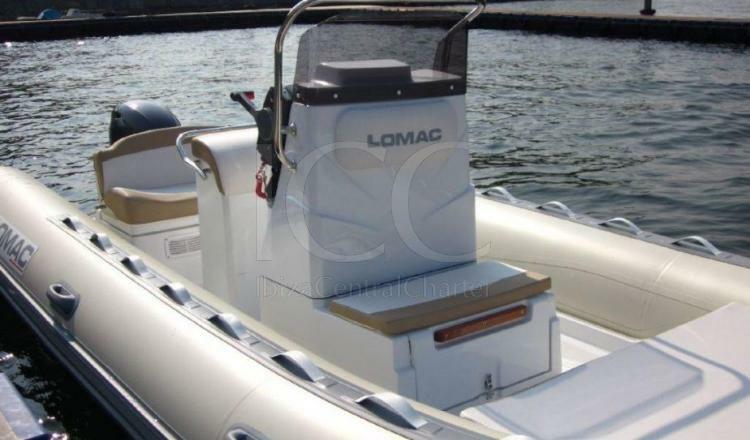 In addition to a bathroom ladder to make it easier to access the water and a shower for those who want to remove salt from the skin after the dip in the turquoise waters of the islands. - Insurance from the deposit. 50% at the moment of reservation, 50% when boarding. 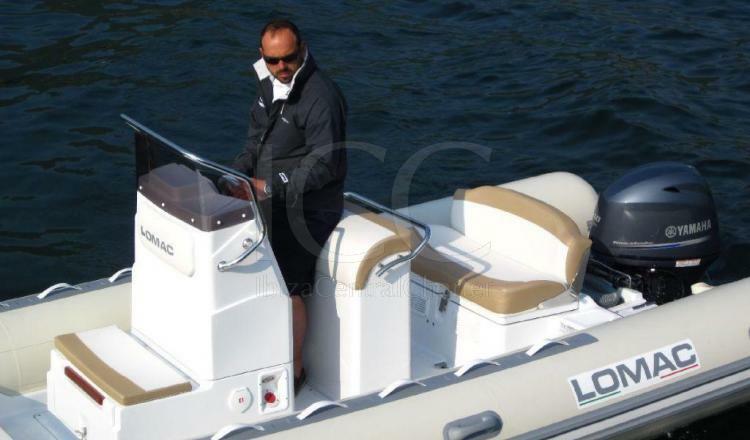 Deposit: 1000€ in cash or credit card. The day before or the same day, 50% of the amount.